Tripping to Paris? Here are two affordable hotels in the city, both dripping with swanky appeal. 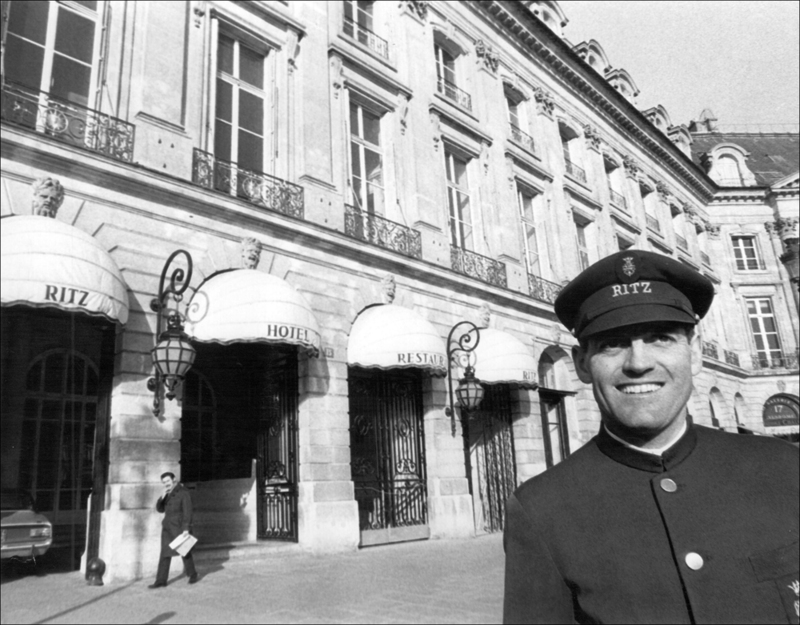 I’ll also pay homage to the Hôtel Ritz Paris. On July 31, 2012, the centuries-old beauty will temporarily close for a makeover. Heck, we’ve all been there! But first things first, here are a few tips! In Paris, most of the rooms are small. So just do like the locals do and don’t plan to hole up in your hotel—spend more time at a café instead! But if there’s a real problem with the room, start off with a “bonjour,” and a little tenderness. Now let’s get a room, shall we? 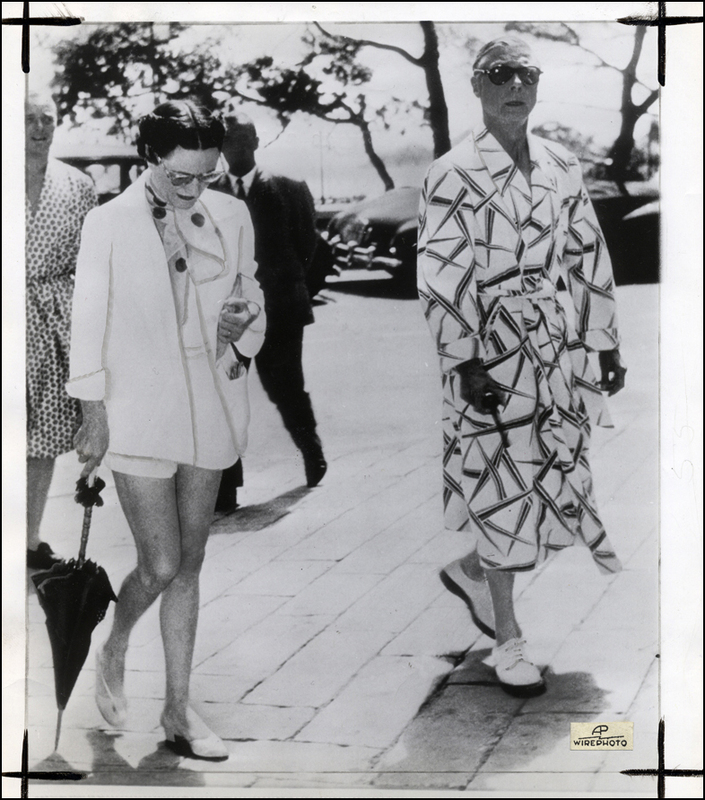 The Duke and Duchess of Windsor would most likely stay at the Hôtel Ritz. Who else stayed here? Gloria Swanson, Charlie Chaplin, and Greta Garbo, along with Sophia Loren, Orson Welles, and Marlene Dietrich — just to name a few. Let’s not forget Hemingway, either! Hem’s wife Mary wrote, “Marlene used to wander down to Ernest’s room to sit on his bathtub and sing to him while he shaved, and they both forgave me when I mimicked her.” Oh, la la. It is a small world. César Ritz (a.k.a. 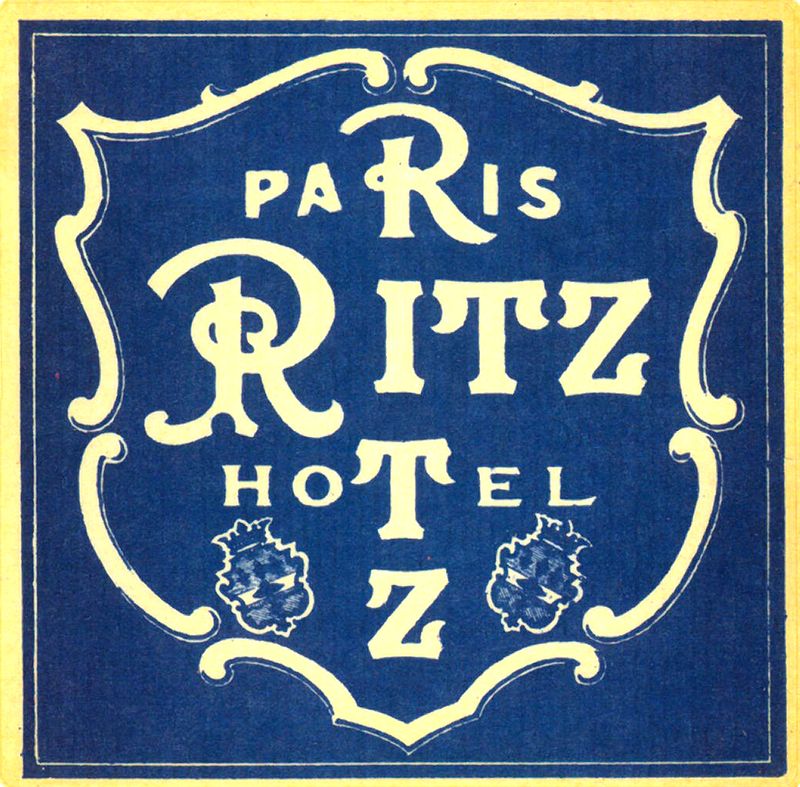 “Host to the World”) got the deluxe party started when he opened the Hôtel Ritz in 1898. Adding posh and circumstance, rooms were outfitted with telephones, electricity, and bathrooms. Wet blanket Oscar Wilde quipped, “Who wants an immovable washing basin in one’s room? Hide the thing. I prefer to ring for water when I need it.” Oh, Oscar. Here’s another royal blush: After King Edward VII got stuck in a bathtub during a ménage à trois, Monsieur Ritz swiftly installed king-sized tubs in all rooms. He also coined the phrase: “The customer is never wrong.” Rub-a-Dub-Dub! 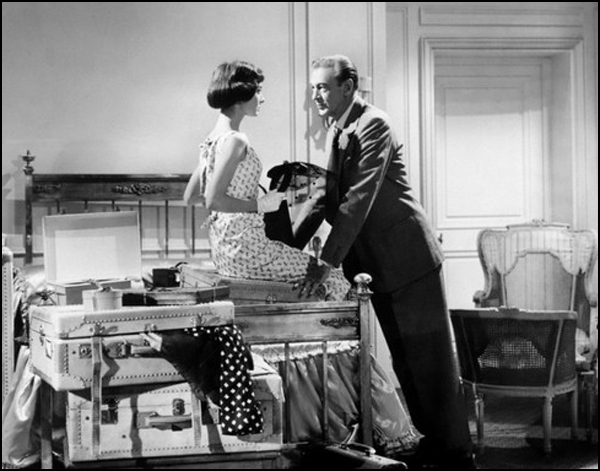 Cinematic fans: Billy Wilder’s epic weepie “Love in the Afternoon” (1957) with Audrey Hepburn, Gary Cooper, and Maurice Chevalier was shot at the Ritz, too. Both the hotel and its surrounding ‘hood are worth a stroll-by! Now let’s hoof it to two still-regal-but-more-affordable alternatives! The moment I made my entrance at the glitzy lobby of the two-star Prince Albert, I started “jonesing” for smoking jackets, slinky gowns, and silk pajamas. Embracing a place resembling a Hollywood set, I half-expected Lauren Bacall or Gregory Peck to suddenly appear in the hotel’s lounge-gone-baroque. Located on rue Saint-Hyacinthe, the Prince Albert rubs elbows with the Marché St-Honoré, the Musée de la Mode et du Textile, the Louvre, and the Jardin des Tuileries. All mighty then, it’s a hub! I’ve got another swish hotel up my three-quarter Rayon sleeve. “Lumière! Moteur! Action!” I imagined hearing as I entered the funky Hôtel du 7e Art (a.k.a. the Seventh Art Hotel). 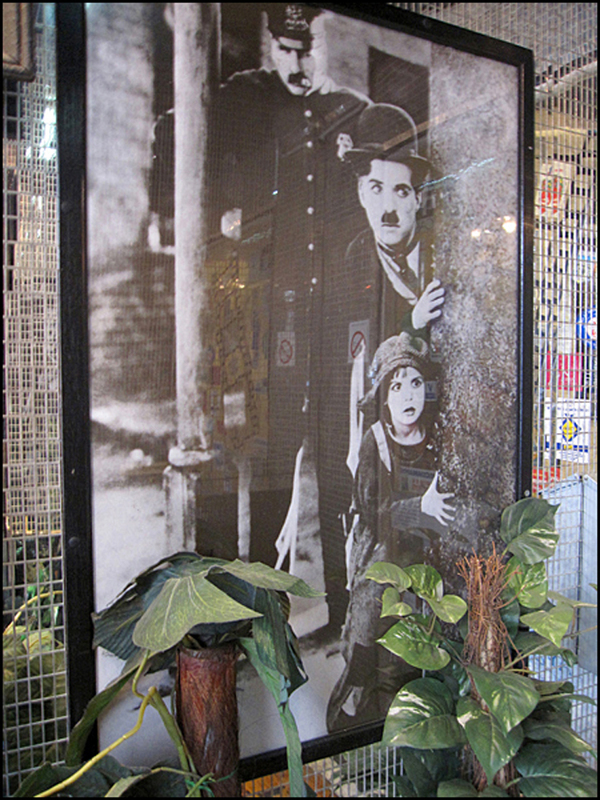 Created by its movie buff proprietors, the two-star hotel celebrates the “seventh art” of film making. Rita Hayworth struck a pose above my bed, while the entire cast of “The Wizard of Oz” hobnobbed it by the door. And that’s just one room! From top to bottom, the vintage posters on display throughout the premises read like a Hollywood “A” list. More scoop: Wearing its shabby-chic look on its sleeve, the rooms feature dark wooden desks, headboards, and cabinets, all matching old beams from yesteryear. Rooms are equipped with ceiling fans, televisions, and AC. Large round vanity bulbs shine on brightly in the bathrooms. Getting ready for your close-up just got easier, Norma Desmond! And yes, the Wi-Fi is free! Stay tuned for more hotel recommendations! Do you have your own favorite place to stay in Paris? Love that Oscar Wilde tid-bit, T. Priceless! Thank you, Tin Man!! Yes, it’s still possible to find a decent hotel in Paris for under 100 euros. But there are so many! I fancy the ones that possess shabby chicness and history, of course. And regarding Monsieur Wilde, I do believe you figured out our mystery!! Oh, la la. T.
So interesting and beautifully written! Merci! Merci!! Yes, Hôtel du 7e Art has location on its side. It’s nestled in between the Seine and the Place des Vosges. Also! Next door to the hotel, there’s a quirky grocery store, dedicated to the joys of cooking the Thanksgiving meal. Fun shop! Enjoy the week! T.
You always take my breath away (so please, give it back!). All kidding aside, it was fun to see The Kid, hiding behind that philodendron. Only in Paris! Martino, thank you for identifying Mister Philodendron!! Looking good, eh? T.
Ah, I love your plan, Virginia!! High heels at breakfast, of course. Christian Louboutin’s favorite shoe repair shop is located nearby the hotel. I love this shop. Also, the Jardin des Tuileries is just a bunny hop, skip and a jump away. Oswald will approve!! The funky Hôtel Eldorado at 8 rue des Dames in the 17th is another perfect spot. Or Provence. Edith Piaf headed to Grasse. I could spend my days touring perfume factories and museums. . .T. It’s so exciting when you score expensive shoes at a flea market. I wasn’t aware of God Save My Shoes. Watched a bit on U Tube and my son is downloading the documentary for me. I can confess. I have a shoe cupboard, and most of the original boxes they came in. Lovely pics! I favour the Hotel Montaigne near the Opera, comfortable, discrete, superbly situated 🙂 Also discovered Les Jardins du Marais, 11e, rue Amelot, a bit pricey, but fabulous settings, not far from place des Vosges, and breakfast 5*! Merci!! Thank you for the swell tips. The Marais and the area surrounding the Opéra are great locations! 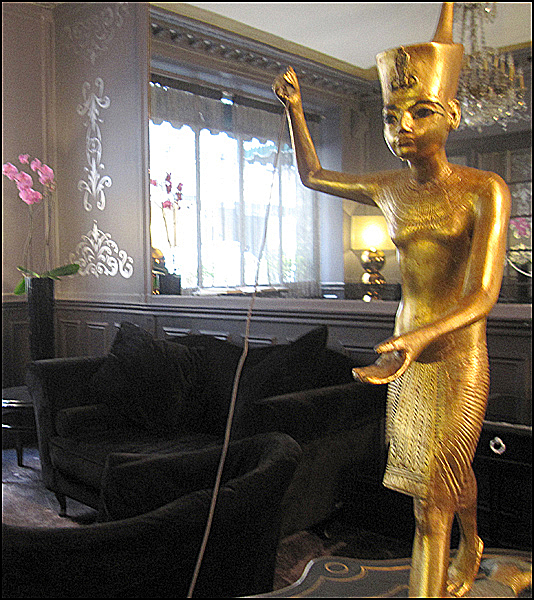 I just checked out Les Jardins du Marais hotel’s website. It’s a beauty! I love the purple velvet and art gallery in its lobby. I’ll check out both hotels in person. Again, thanks for the hotel leads. I really appreciate it!! T.
Theodora! This is such a lovely post! I love the photos, and the places you took us to! The pic of the Duke and Duchess is AMAZING! Oh, dear!! As always, thanks for your thoughtful words. Yes!! I love the photograph of the Duke and Duchess. Their spiffy outfits are fantastic, eh? Stripes and polka dots mesh well. I recently scored the old photograph. I plan to frame it. According to the back of the wires pic, the newspaper used it several times. Enjoy the day!! T.
Merci beaucoup, Mlle. Babs! Little-known facts are sooo intriguing, and your and all the other images make me feel as if I were there with you (if only!). Thank you!! My favorite hotel in Chicago is the Congress Hotel. It’s grand. It’s funky. And it’s still very affordable with a great location, to boot. I love its old sign, along with the Buckingham fountain, located across the street. Inspired by the fountains at Versailles, it’s prime people-watching spot. Dreaming of Chicago now!! B.
I stayed at the Congress, back in ’87, while shooting a commercial. It was grand…and still is! Hoping to shoot Buckingham Fountain soon…after the Taste of Chicago is over! I’ve made a note to self! I am booking my flight as I type! Wonderful post. Versailles but not L’Osmotheque. Next trip for sure! Thanks, Karen!! 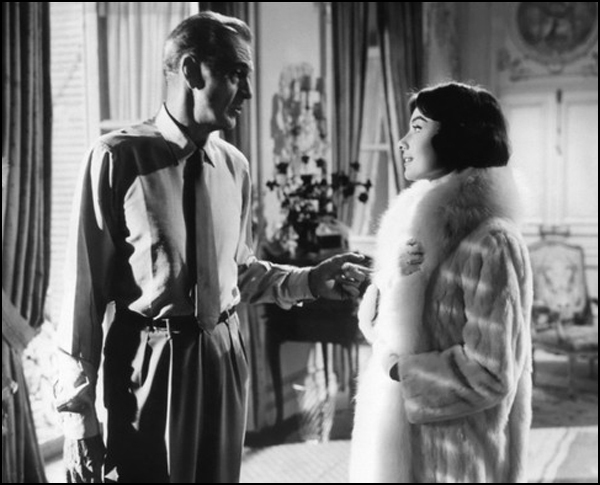 Yes, “Love in the Afternoon” with Audrey and Gary Cooper is one of my favorite flicks. 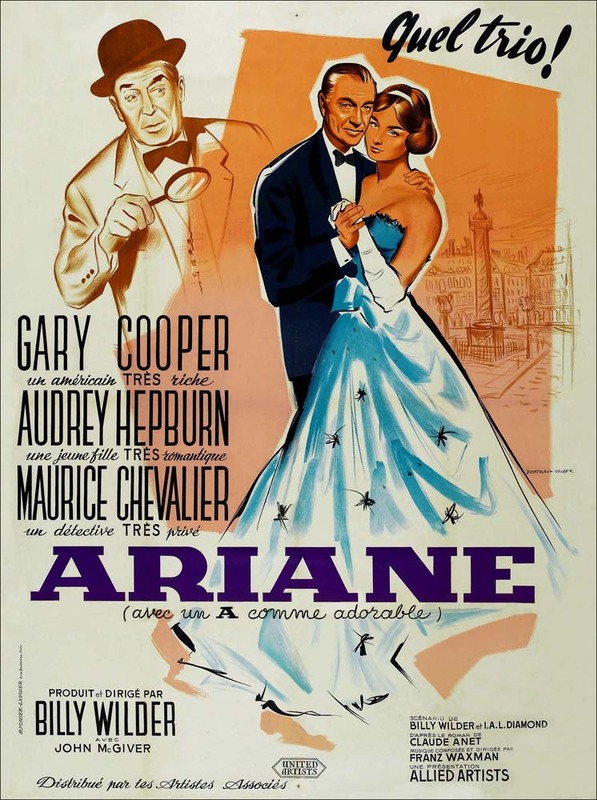 I also love “Funny Face” and “Sabrina.” Let’s not forget “Roman Holiday” to the list. Have you seen the “haircut” scene?! I’ll keep you posted on the Ritz restoration project. Let’s hope they keep the Louis XV and XVI furniture, along with the “Wallis” blue paint in the “Windsor” suite. Fingers and toes are crossed!! T.
What a great blog! I wish I had seen this before I went to Paris! Yet another lovely post that transports me for a moment to another (much more beautiful, much more glamorous) world – and yet another set of suggestions that we’ll put on our “next time” list. Thanks for the ideas, and the mini-vacation in my mind! Love those old vintage pictures! I have never seen this Cary Grant movie before but I would loooooooooooooooooooove too! Oh, Yeeeesss! 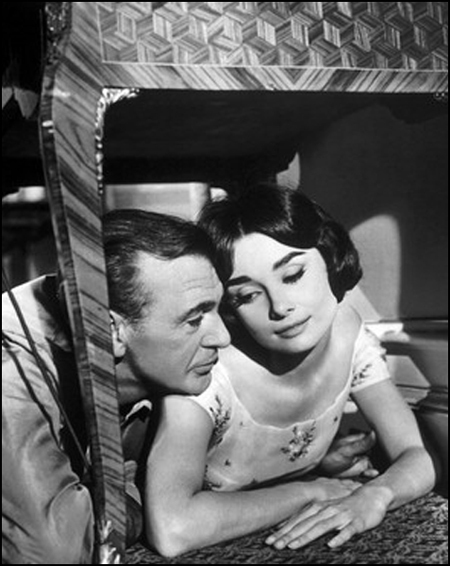 “Love in the Afternoon” is a fun flick!! I love Gary Cooper. 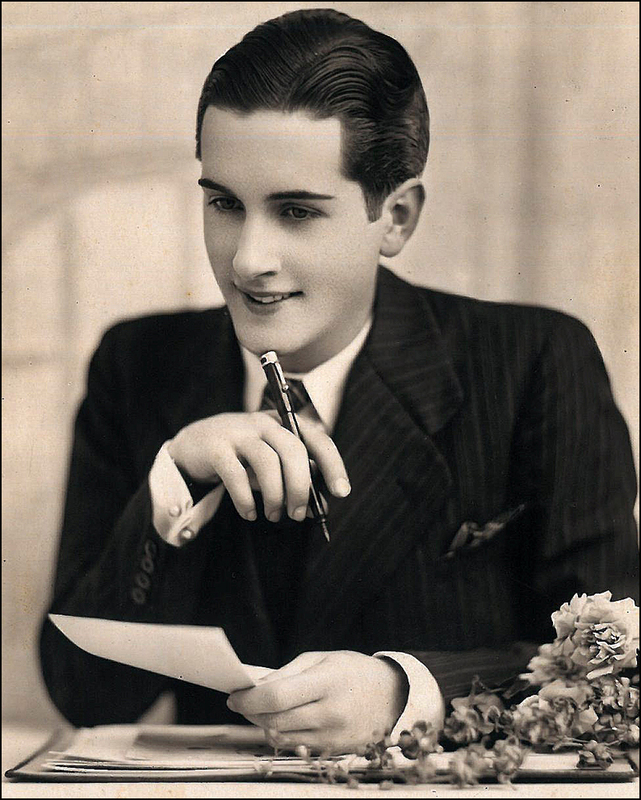 He was also swell in “Wings” with Clara Bow and “The Spoilers” with Betty Compson. Betty is another favorite! Swas the star of Alfred Hitchcock’s “Woman to Woman.” It is a small world!! Enjoy the week!! T.
Fantastic vintage photographs. So much glamour. Thanks, Deanne!! I’ve been enjoying your “Obsolescence Project.” What a great idea. I was extremely happy the “Untitled Pin Cushion No. 176 for An Italian Maid” made the cut. WHEW!! Love the “Statue” and “Kill” descriptions. Bravo!! T.
A totally magnificent gem of a post! Pingback: Paris Tips: A Scents and Sensitivity Day Tour « People, Places and Bling!